Dale Earnhardt Jr.'s "JR Motorsports" team is helping spread MADD's Tie One On For Safety message this holiday season. NASCAR driver Regan Smith, part of the JR Motorsports team and driver on the Nationwide series, is featured in a new video promoting the idea of planning ahead for a non-drinking designated driver, while standing in front of a race vehicle with "Buzzed Driving is Drunk Driving" on the hood and "Drive Sober, Arrive Alive" on the side, courtesy of the Delaware Office of Highway Safety. 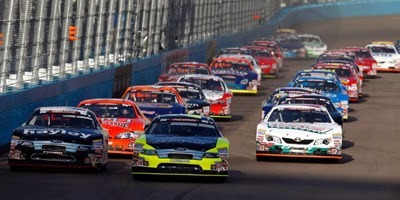 The 2013 season in the NASCAR K&N Pro Series West featured one of the closest four-way battles for the championship in the history of the series, with Derek Thorn capturing the title by six points over Cameron Hayley, Greg Pursley and Michael Self. In his final year of a two-year stint driving car owner Bob Bruncati’s No. 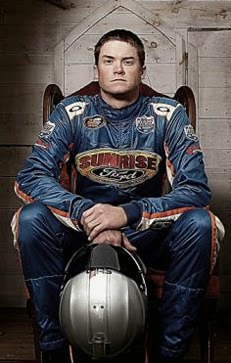 6 Sunrise Ford/Lucas Oil/Eibach Ford, Thorn had a textbook season in winning his first NASCAR championship. The 27-year-old Californian jumped out front in the championship standings early and built on that lead with consistent finishes. Thorn – who was originally from Lakeport, but now resides in Bakersfield – carried that margin through the season to clinch the title in the final race of the year. As a side note, the final points for the top two drivers in 2013 mirrored the points of the top two drivers the previous year. Thorn won the 2013 series championship by six points over Hayley – 622 to 616. In 2012, Dylan Kwasniewski had won the championship by six points over Pursley – 622 to 616. NASCAR During the Holiday Season? NASCAR at Christmastime? 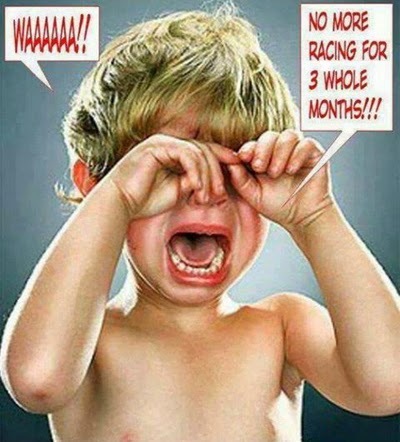 Are you going through NASCAR withdrawals like NASCAR Race Mom? 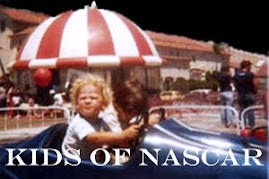 December has always meant NASCAR off season – right? Well as a matter of fact; not always. 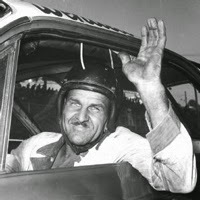 On December 1, 1963, African-American Wendell Scott won in Jacksonville, Florida. This historical win is the first and only win for an African-American at stock car racing's highest level. NASCAR's top series has held a total of eight races in December. 3 – Number of track qualifying records broken by Jimmie Johnson this season, the series’ most. 5 – Number of drivers who won in 2013 after going winless in 2012: Brian Vickers, Carl Edwards, David Ragan, Jamie McMurray and Martin Truex Jr.
5 – Number of races that saw records in green flag passing numbers this season (NASCAR started keeping passing records in 2005). 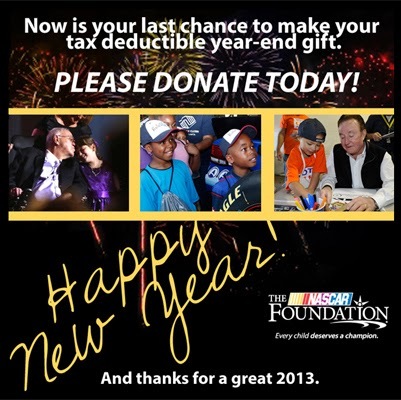 They were: Daytona-2, 9,574 passes; Atlanta, 3,748; Richmond-2, 3,013; Chicagoland, 3,366; and Talladega-2, 23,765. 5 – Number of races that saw records in green flag passes for the lead numbers this season (NASCAR started keeping passing records in 2005). They were: Las Vegas, 31; Auto Club, 41 (tied record); Dover-1, 25; Pocono-2, 38; and Talladega-2, 219. 10 – Average number of leaders per race, up from 9.39 in 2012. 11 – Number of drivers who broke a track qualifying record this season. They are Jimmie Johnson (three), Denny Hamlin, Kyle Busch, Joey Logano, Ryan Newman, Dale Earnhardt Jr., Matt Kenseth (two each), Jeff Gordon, Kurt Busch, Brad Keselowski, and Marcos Ambrose (one each). 17 – Number of different winners this season, up from the 15 different winners last season. The modern era record for different winners in a season is 19. 19 – Number of track qualifying records broken this season. 19.4 – Average number of lead changes per race, up from 18.9 last season. 20 – Number of races that ended with a margin of victory under one second, up from 17 races last season. 46 – Number of drivers who led at least one lap, up from 42 last season. 51.2 – Percentage of cars that finished on the lead lap, the highest percentage since 2009. 83.1 – Percentage of cars that were running at the finish of races, up from 74.7% in 2012. 971 – Number of Green Flag Passes for the Lead, an increase from the 946 Green Flag Passes for the Lead in 2012. 1.267 – In seconds, the average margin of victory in 2013. It’s the lowest average MOV since 2005. Ben Kennedy is headed to the NASCAR Camping World Truck Series. But Ben Kennedy Racing isn't going anywhere. The 21-year-old rising star and great-grandson of NASCAR founder Bill France Sr. announced Thursday the team is staying in its shop in Daytona Beach and will field a team in the NASCAR K&N Pro Series East. At Thursday's press conference, the team also announced they have tapped 22-year-old Kenzie Ruston to drive the No. 96 Ben Kennedy Racing Chevrolet fulltime in 2014. 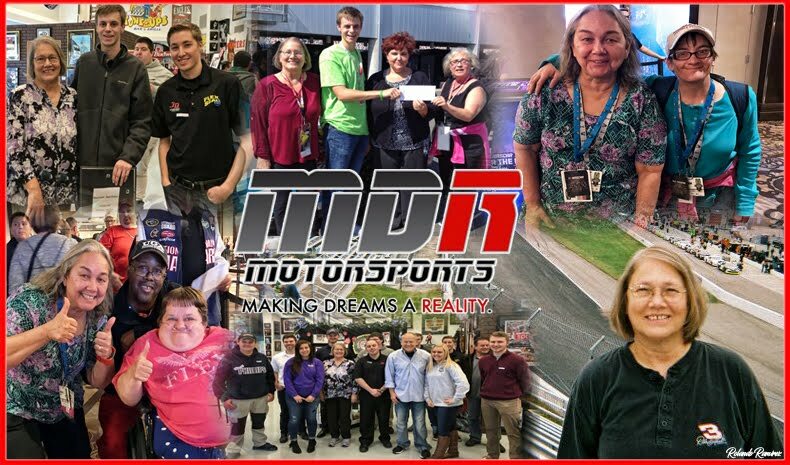 "Getting an opportunity in the NASCAR Camping World Truck Series with Turner Scott Motorsports was due in large part to the time and hard work the team at Ben Kennedy Racing put in over the last two years," said Kennedy. "To be able to maintain the team here in Daytona and put another talented young driver in the seat is a really cool deal." 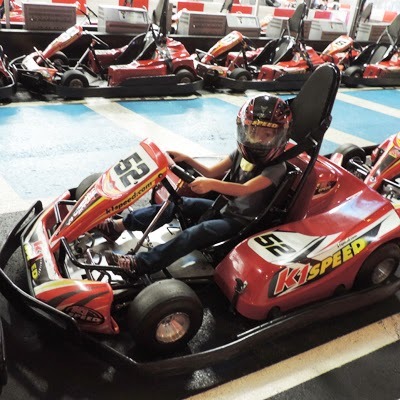 Ruston, like Kennedy, was a member of the NASCAR Next program last year. The industry initiative, in its third year, is designed to spotlight the sport's rising stars. The pool of talent that has been identified by the program includes Kyle Larson, Darrell Wallace Jr., Chase Elliott and Dylan Kwasniewski. As a rookie in 2013, Ruston finished sixth in the points standings in the NASCAR K&N Pro Series East. The El Reno, Okla., native had four top-five, including a third-place finish at Greenville (S.C.) Pickens Speedway in April. Her points standing and her run at Greenville were both records as the highest finishes for a female in series history. "Jumping into the NASCAR K&N Pro Series East last year was a great experience and I really learned a lot in my first year," said Ruston. "Having competed against Ben and his team, I've seen firsthand the dedication and level of excellence they bring to the track. "I saw how they were really able to help Ben grow in the series from one year to the next, and get him prepared for the national series. I'm really looking forward to getting into that car in New Smyrna and Daytona in February." The NASCAR K&N Pro Series East season kicks off Sunday, Feb. 16 at New Smyrna Speedway. Two days later, the series will compete on the 0.4-mile oval on the backstretch at Daytona International Speedway in the UNOH Battle At The Beach. The series also makes another in-state visit Friday, June 13 at Five Flags Speedway in Pensacola. Kennedy won that race last year. 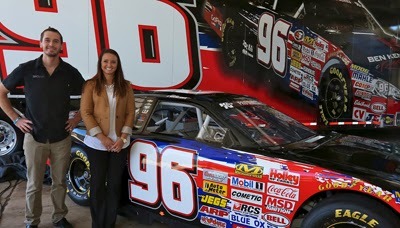 Kennedy, a senior at the University of Florida, drove three full seasons in the NASCAR K&N Pro Series and progressed from 13th to ninth to fourth in the points. He picked up his first two series wins last year, first at Five Flags and then another at Bowman Gray Stadium in Winston-Salem, N.C. He started five NASCAR Camping World Truck Series races in 2013, including a fourth-place finish in October at Martinsville (Va.) Speedway. See which NASCAR event ranks on Google's top searches for 2013. 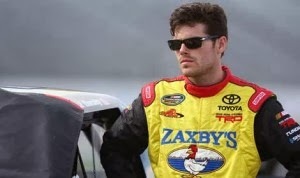 MOORESVILLE, N.C. – Wauters Motorsports announced Thursday that John Wes Townley will drive the No. 5 Zaxby’s Toyota Tundra during the 2014 NASCAR Camping World Truck Series. 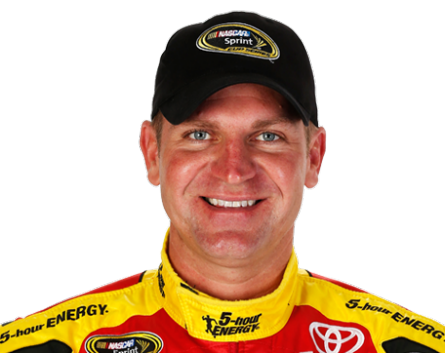 Townley had a career year in 2013, which started with Townley winning the ARCA Racing Series opener at Daytona Int’l Speedway. In 22 NASCAR Camping World Truck Series starts last year with Red Horse Racing, Townley finished inside the top 10 seven times. DAYTONA BEACH, Fla. – The 2014 NASCAR K&N Pro Series West opens and closes with its traditional Phoenix dates, and in between tackles some tricky ovals and battles on a pair of premier road courses. A 14-race schedule that covers seven states and includes five companion events with NASCAR’s National Series awaits the West portion of the top step on the NASCAR’s developmental ladder. New to the 2014 slate is a return to one of the sport's finest short tracks in Irwindale (Calif.) Speedway. 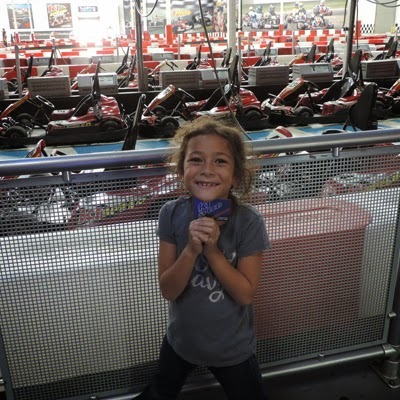 The series also will make a visit to State Line Speedway in Post Falls, Idaho. Kern County Raceway Park has added a second date, as well. 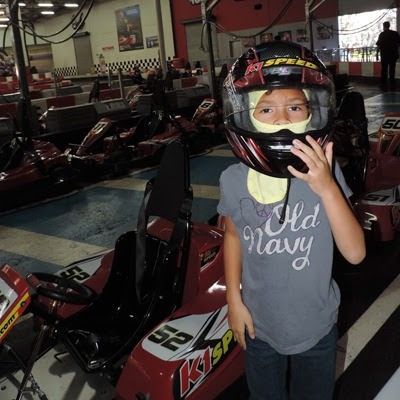 Phoenix International Raceway – The 2014 season kicks off at the D-shaped, one-mile track on Feb. 27 and the new champion will be crowned on Nov. 6 in a return to the Arizona desert. 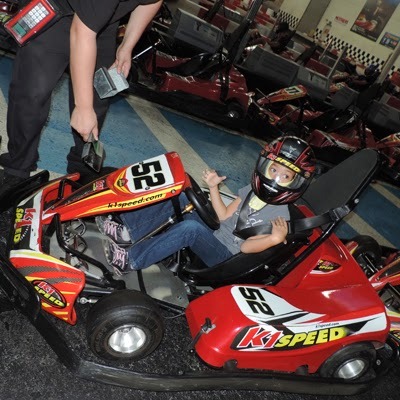 Both dates are in conjunction with the NASCAR Sprint Cup Series visits. Irwindale Speedway – After a year away, the K&N West makes its return to the half-mile West Coast jewel on March 22 on the same weekend the NASCAR Sprint Cup Series visits nearby Auto Club in Fontana, Calif.
Stockton 99 Speedway – The series makes it visit to the Northern California quarter-mile for the season’s third event on May 3. Iowa Speedway – For the eighth consecutive year, the Newton, Iowa, track will host the NASCAR K&N Pro Series East and West combination events. The first clash will be May 17 and the two series will again meet for bragging rights on Aug. 1. 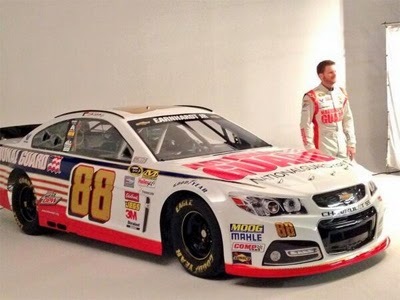 Both will be part of the NASCAR Nationwide Series weekends. 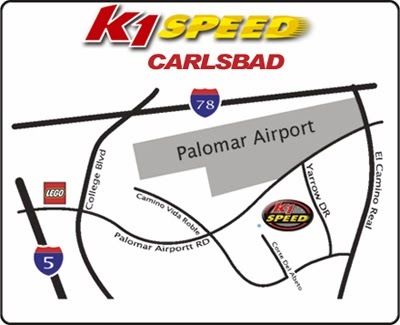 Kern County Raceway Park – After a successful debut at the newly-constructed half-mile track, the series makes a pair of trips to Bakersfield, Calif., on May 24 and Aug. 30. 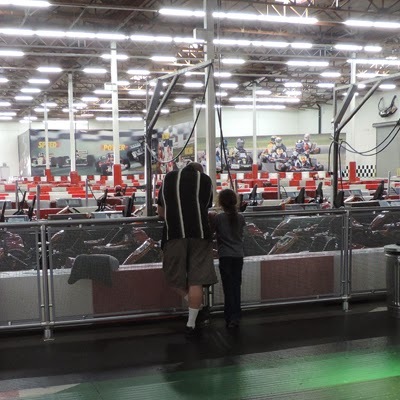 Sonoma Raceway – California’s Napa Valley is the setting on June 21 as the series joins the NASCAR Sprint Cup Series for its first of two road-course dates. State Line Speedway – New to the slate this season is a July 12 visit to the quarter-mile oval located in Post Falls, Idaho. Colorado National Speedway – Another trip to the Rocky Mountain region is in store for July 26. Evergreen Speedway – The series makes its annual trip to the Pacific Northwest on Aug. 16 to take on the historic .646-mile oval just north of Seattle. Miller Motorsports Park – The pristine Utah racing complex will host the series’ second road-course date on Sept. 13 for a battle on the 2.2-mile East Course. All American Speedway – The California third-mile oval will play host to the series for the 16th time on Oct. 11 for the series’ penultimate event. Feb. 27 Phoenix International Raceway (1-mile) Avondale, Ariz.
May 3 Stockton 99 Speedway (.25-mile) Stockton, Calif.
NASCAR’s top drivers throughout its regional touring and weekly series will be in the spotlight this week in Charlotte, N.C., with a bevy of activities leading up to the awards ceremonies Friday and Saturday night. 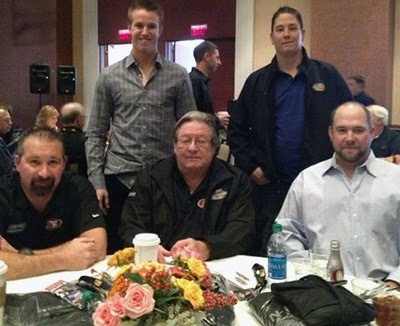 The NASCAR Whelen All-American Series Awards took place Friday, Dec. 13. 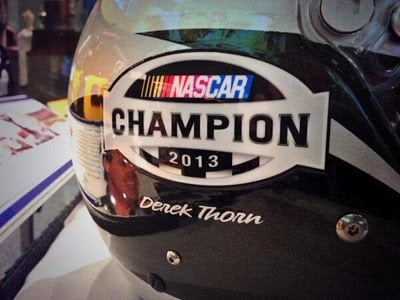 NASCAR’s touring series champions will be recognized at the traditional NASCAR Night of Champions Touring Awards. Set for Saturday, Dec. 14. Crew Chief: George Brunnhoelzl Jr.
Born July 21, 1996, seventeen-year-old Cameron Hayley’s 2013 season was productive. He finished second in the K&N Pro Series West and captured the Most Popular Driver title along the way. Won NASCAR K&N Pro Series portion of inaugural UNOH Battle At The Beach in 2013. Finished second in NASCAR K&N Pro Series West debut at 15 years of age. 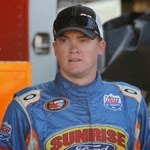 Youngest driver to compete in NASCAR K&N Pro Series West (15 years 23 days at Montana 8/13/11). Dylan Kwasniewski, from Las Vegas, Nev., came to the NASCAR K&N Pro Series East with plenty of expectations. The reigning NASCAR K&N Pro Series West titlist switched coasts and series, and as a championship favorite, he became the default torch-bearer for Turner Scott Motorsports’ newly-established K&N Pro Series program. When the dust had settled on the 2013 season, Kwasniewski tied the K&N Pro Series East mark for the second-most victories in a single season with six, and he became the first driver ever to win championships in both the K&N Pro Series West and East. 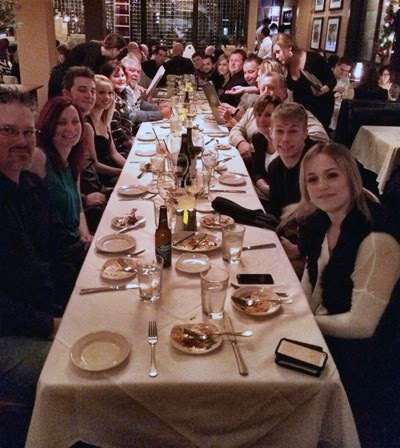 Champions Team Dinner - can't thank these people enough for all their hard work this year!! You guys are amazing. — with Deanne Nash, Jeni MacDonald, Chris Bray, Mardy Lindley, Kari Bray, Teresa Allen Thompson, Leslie Teasley, Peggy Greci and Taylor Kwasniewski at Sullivan's Steakhouse - Charlotte. 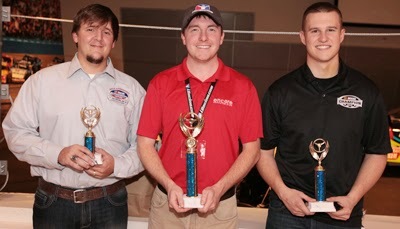 Fans and champions competed side-by-side in the first NASCAR Home Tracks Champions Challenge presented by iRacing.com Wednesday at the NASCAR Hall of Fame. NASCAR fan and occasional iRacing competitor Ricky Hardin, of Fort Mill, S.C., edged NASCAR Whelen Modified Tour champion Ryan Preece to win the final event that was competed in NASCAR Sprint Cups Series Generation-6 cars on the 1.5-mile oval at Charlotte Motor Speedway. Preece recorded the fastest lap en route to his runner-up finish. NASCAR iRacing.com world champion Tyler Hudson, of Houston, Texas, finished third in the championship race. Throughout the afternoon, all of the NASCAR touring and weekly series champions – Dylan Kwasniewski (NASCAR K&N Pro Series East), Derek Thorn (NASCAR K&N Pro Series West), George Brunnhoelzl III (NASCAR Whelen Southern Modified Tour), Ander Vilariño (NASCAR Whelen Euro Series), Scott Steckly (NASCAR Canadian Tire Series presented by Mobil 1), Rodrigo Peralta (NASCAR Toyota Mexico Series), Lee Pulliam (NASCAR Whelen All-American Series) and Preece – raced on ovals and road courses around the world. 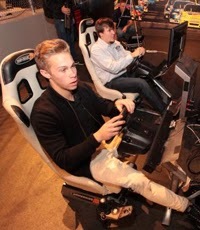 The unique experience was held on the iRacing simulator pods at the NASCAR Hall of Fame. 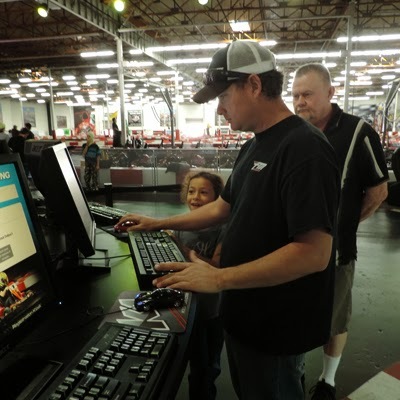 iRacing.com is the world’s premier motorsports racing simulation which allows drivers, race fans and gamers alike to hone their skills and enjoy the thrill of the racetrack from the comfort of their home. 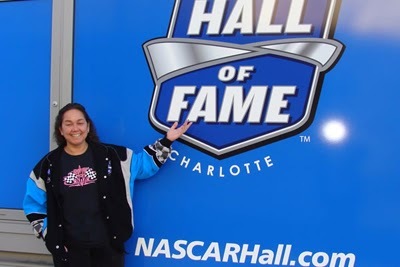 The event is part of a weeklong series of special activities in the Charlotte area for drivers and track representatives leading up to the NASCAR Whelen All-American Series Awards on Friday, Dec. 13, and the NASCAR Night of Champions Touring Awards on Saturday, Dec. 14. Both ceremonies along with a Red Carpet pre-show will be streamed live on www.nascarhometracks.com. Coverage will get underway at 5 p.m. ET each evening. Later Wednesday evening, the series champions will be honored at a special dinner affair in The Hall of Honor inside the NASCAR Hall of Fame. Dale Earnhardt Jr.'s Whiskey River Ranch in Mooresville, N.C.
NASCAR’s top drivers throughout its regional touring and weekly series will be in the spotlight this week in Charlotte, N.C., with a bevy of activities leading up to the awards ceremonies Friday and Saturday night. The NASCAR Whelen All-American Series Awards will take place Friday, Dec. 13. Among those honored will be the 2013 national champion Lee Pulliam, as well as track champions from 55 tracks across the United States and Canada, state and provincial champions and top rookies. "We've been really looking forward to this," said Lee Pulliam, NASCAR Whelen All-American Series national champion. "A lot of hard work has gone into this year to get us to this point. Charlotte was a blast last year, and it's already started off that way this year. "I'm just really proud of everybody's hard work and determination that's gotten us here. Getting that handshake from NASCAR President Mike Helton and receiving that coveted trophy, that’s something I've always dreamed of." 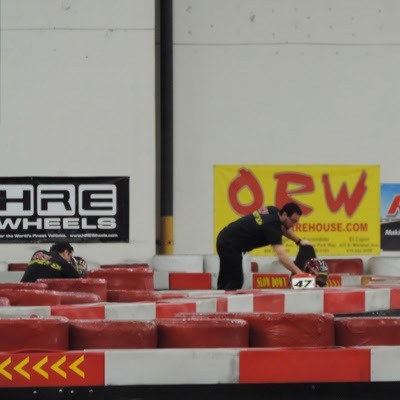 "It's great - this week is always a blast," said Ander Vilarino, who won his second straight NASCAR Whelen Euro Series in 2013. "All the moments are very special. 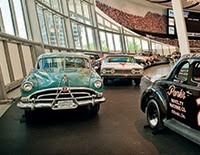 Just having the car in the NASCAR Hall of Fame -- all the champions cars are there. And you can see Petty's car and Johnson's car, and there is our car. "And obviously the awards ceremony is the key moment - the most exciting moment of the week - when you receive that NASCAR championship ring." For us racing freak who are suffering from withdrawals - - - - Thank You Speed51.com for your awesome coverage of the 46th Annual Snowball Derby Presented by JEGS. UPDATE: In postrace inspection, Elliott's car was disqualified for having a prohibited tungsten part, elevating second-place finisher Erik Jones to first place and giving the teen from Byron, Mich., back-to-back Snowball Derby victories. Tweet from Chase Elliott ‏@chaseelliott --- Simply sorry to everyone. One Mistake on our part costed us the race. I Can't thank the ones who are still supporting us tonight enough. A full schedule and more information can be found on Speed51.com’s Schaeffer's Racing Oil Snowball Central. Winning the All American 400, Redbud 300, and Winchester 400 all in the same year is pretty impressive. However, Ross needs the Snowball Derby to complete his short track resume. It should be noted that in his four precious Snowball starts, Kenseth has complete all 300 laps. Kenseth is starting just outside the top-ten (11). This newly crowned K&N Pro Series West Champion is the West’s best opportunity to contend with the East. However, starting mid-field with a 22 grid berth; California native Thorn will have to have a perfect race to pull off an upset win. Thorn and three other members of his race team traveled a couple thousand miles from Bakersfield, Calif., to Pensacola. They arrived on November 23rd. The Snowball Derby is that important. Thorn understands that running the Snowball Derby made him a part of a brotherhood of a historic line of Super Late Model drivers. 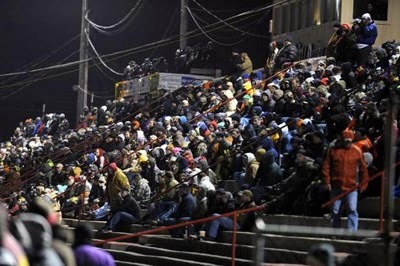 NASCAR Race Mom wishes all the “46th Annual Snowball Derby Presented by JEGS” competitors a safe and fun race. 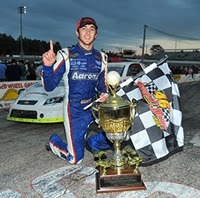 A 18-year-old Chase Elliott, became the first driver to win the pole for both the Snowflake 100 and the Snowball Derby with track records in both qualifying events. Elliott, son of NASCAR legend Bill Elliott, turned in a time of 16.303, shattering the previous record of 16.602. 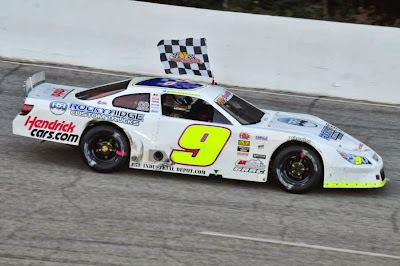 It took a little longer than expected, but Mason Mingus, the runner-up in the 2013 ARCA Racing Series championship standings, managed to secure a spot in today’s Snowball Derby by winning Saturday’s last chance race. Mingus will be joined by David Rogers, Cale Gale and Josh Hamner as the four drivers advancing from Saturday’s last chance race. Rodgers will be making his 29th appearance in the Snowball Derby. Gale and Hamner finished fifth and sixth, but got the nod after the second and fourth-place finishers were disqualified. Gale, a winner on the NASCAR Camping World Trucks Series when he sent Kyle Busch into the wall in Miami, is driving Scott Carlson’s No. 21. Brady Boswell and Chris Wimmer — seeking their first appearance in the Snowball Derby — finished second and fourth, respectively, but were DQ’d after their cars failed the postrace inspection. At least NASCAR Race Mom is not the only one going through NASCAR Withdrawals. According to the Sporting News, the newly-crowned six-time Cup champion Jimmie Johnson and his 2013 title rival Matt Kenseth are atop the first list of the 2014 Sprint Cup Championship Odds. Johnson is listed as the favorite for 2014 at 3-to-1 odds, while Kenseth sits at 11-to-2 odds – a fair reflection of their solid respective seasons. Next up is Kyle Busch, who has his title bid derailed at Kansas but hung tough with four Top-10s in the final six races to claim fourth in the championship at season’s end. “Rowdy” has been placed at 13-2 odds by William Hill, with Dale Earnhardt Jr. right behind him at 7-1 odds after putting together a fine post-season stretch of his own following his blown engine in the Chase opener at Chicagoland. Rounding out the Top 5 is Jeff Gordon at 10-1. The four-time champ’s big win at Martinsville catapulted him into the title picture with three races left, but a wreck at Texas forced his “Drive For Five” to continue into 2014. Other notables include Brad Keselowski, Kevin Harvick, Denny Hamlin and the returning Tony Stewart each at 15-1 odds; rookie of the year Ricky Stenhouse and Austin Dillon both at 75-1; Kyle Larson at 150-1; and Danica Patrick at 250-1. 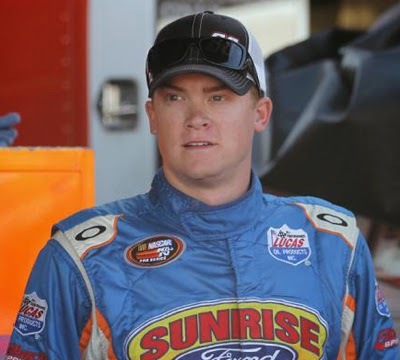 Derek Thorn and the Sunrise Ford Racing team set a goal for themselves early in 2013. 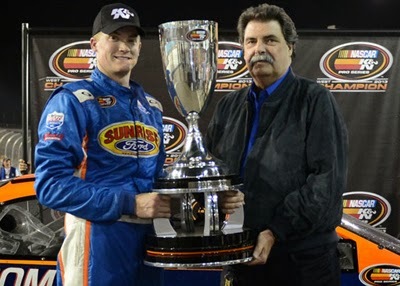 Fifteen races later their goal was accomplished, with Thorn winning the NASCAR K&N Pro Series West championship. 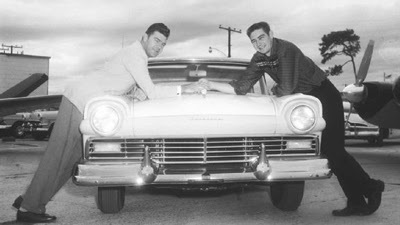 Thorn drove car owner Bob Bruncati’s No. 6 Sunrise Ford/Lucas Oil/Eibach Ford to three wins, three poles, 12 top-fives and 14 top-10s. He scored his first career road course win with a victory at Sonoma (Calif.) Raceway in June. He also had wins on two short tracks – Stockton (Calif.) 99 Speedway in May and Colorado National Speedway in Dacono in July. He won Coors Light Pole awards at Colorado; NAPA Speedway in Albuquerque, N.M.; and All American Speedway in Roseville, Calif.
Thorn – who was originally from Lakeport, but now resides in Bakersfield – jumped out front in the championship standings early in the season. He built on his lead with top-five finishes through the first 10 events of the schedule. Thorn maintained his advantage in points with three runner-up finishes within a four-race span late in the year, enough to carry him through to the title despite an uncharacteristic 15th-place finish in the season finale. He held on to clinch the championship by a six-point margin over Cameron Hayley. The strategy of the Sunrise Ford team this season was simply to approach each race one by one, according to Thorn. This year’s championship comes as Thorn wraps up his second year of a two-year deal driving for Bruncati. “It’s definitely a good way to cap off a two-year stint we had with Bob Bruncati and the No. 6 team,” Thorn said. 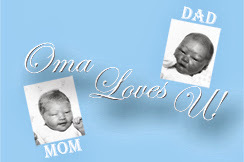 “I can’t thank Bob and Maureen Bruncati (enough) for giving me the opportunity to drive the (No.) 6 for two years like they did. Bill Sedgwick, the crew chief, and all these guys on the team have really, really worked hard to get us in the position to win the championship. In 36 starts since making his series debut in 2011, Thorn has five career wins, four poles, 26 top-five and 30 top-10 finishes. His initial success came in the pre-season NASCAR Toyota All-Star Showdown in January of 2011, where he won the pole and finished eighth. He ran a limited schedule of six series events that season, including three after joining the Sunrise Ford Racing team late in the year. 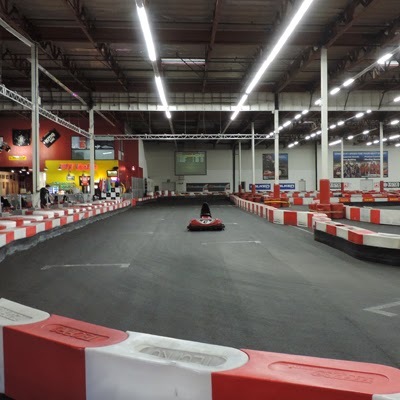 Thorn began his racing career competing in Winged Outlaw Karts in Northern California, where he won two titles. 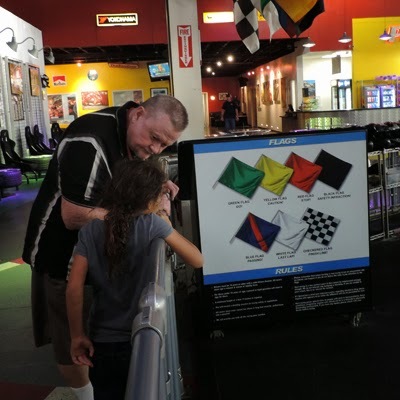 He won a track championship racing street stocks at his hometown track of Lakeport Speedway in 2002 and then raced in the Modified division there in 2003 and 2004. 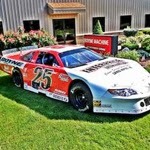 Thorn moved on to compete in the North State Challenge Series in 2005 and 2006 and the ASA Late Model Challenge in 2007 and 2008. He also raced in six NASCAR K&N Pro Series East races in 2008, with a top-five finish at Music City. After returning to the West Coast, he began racing in the SRL Spears Southwest Tour Series in 2010 and won a title in that series a couple of years later. 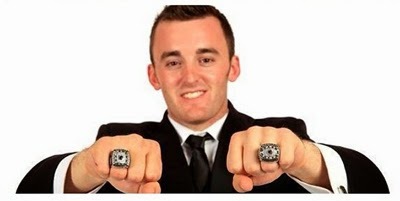 Thorn will be honored as the NASCAR K&N Pro Series West champion for 2013 during the NASCAR Night of Champions Touring Awards ceremony in the Crown Ballroom of the Charlotte (N.C) Convention Center inside the NASCAR Hall of Fame on Saturday, Dec. 14. The awards ceremony is slated to be streamed live online in three languages – English French and Spanish – at www.nascarhometracks.com. The NASCAR Hall of Fame is readying to unveil a complete makeover of one of its signature exhibits, Glory Road, on Jan. 11, 2014. To mark this major revamp, some fan favorites will be on hand to help the Hall reveal some of the exhibit’s newest additions. Mark your calendar for a special birthday party in honor of Bobby Allison on Dec. 7 at 12:30 p.m. Then on Tuesday, Dec. 10, Rusty Wallace heads to the Hall at 1 p.m. for another special announcement with exactly one month to go before the Glory Road 2.0 unveil date. In the meantime, stay tuned to nascarhall.com, Facebook, Twitter and Instagram for sneak peeks of the NASCAR stock cars that will find a new home in this exhibit.